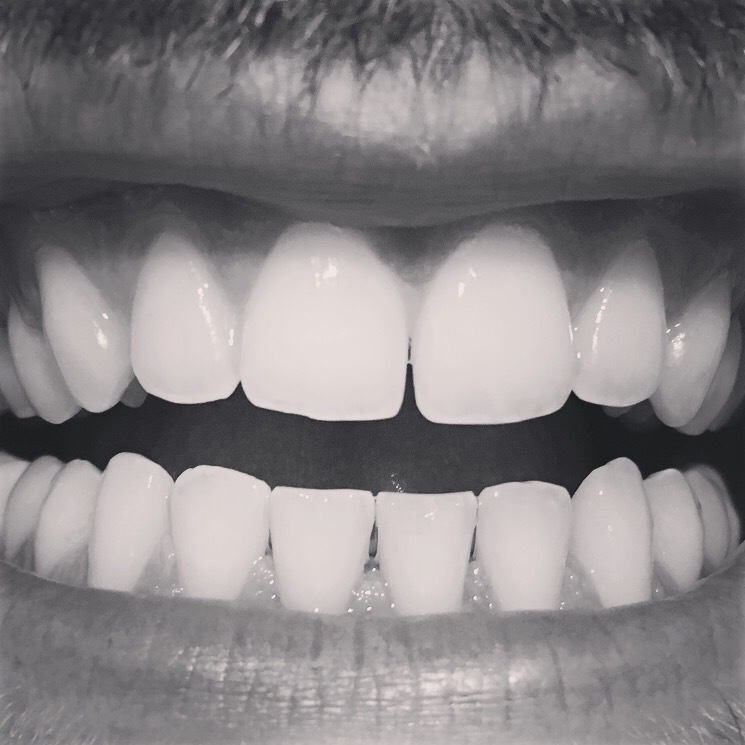 I’ve been very lucky with my teeth so far in my life: no braces or retainers, no fillings, and – save for one small chip on the edge of my right maxillary (or “top”) central incisor – no tooth-related injuries to speak of! The only thing I’ve ever been less satisfied with is the whiteness of my teeth; some had become yellowed (I blame my fondness for coffee), and others had what I supposed (correctly) was slight plaque buildup between teeth and leaving some hardly noticeable – yet unsightly – streaking. Therefore when Gloria told me she could help me get an appointment for professional tooth cleaning with her hometown’s best dentist, I jumped at the opportunity! Here in Spain to become a dentist you used to have to first complete a medical degree, before specialising in dentistry (impressive, right? ), and so their family dentist studied alongside Gloria’s father (who went on to become a GP). As a result, when Gloria’s mum called him the day we arrived I was given an appointment for the next day. The experience of having my teeth cleaned was entirely new for me, having had nothing more than general tooth health check ups done before (and too long ago at that). After some questions about my general health (in case I’d need antibiotics), I was told to rinse my mouth with a disinfectant and anaesthetic mixture, leaving my mouth feeling completely numb; my tongue feeling particularly strange (I will admit that the sensation unsettled me a little at first). Next, the dentist took a look at my teeth and told me that they, aside from the aforementioned cosmetic complaints, were looking nice and healthy. Then the clean itself began. First plaque was removed from between the teeth and my gums, and between the teeth themselves, with a drill, before polishing and cleaning with a rough paste, and ultimately flossing, following which I was told to rinse and saw my new smile for the first time. Whiter, smoother, and “gappier” (I suppose the plaque buildup was worse than I’d thought, as particularly my bottom teeth were left with gaps larger than I thought they were) than they have looked for a very long time.